Changes have taken place for DAB digital radio listeners in Liverpool and North Wales ahead of the official launch of Capital Liverpool on 18th January 2016. Since 4pm on Sunday, the old Juice FM, which was sold by UTV Media to Capital owner Global Radio last year, has entered a week of transition ahead of the launch. 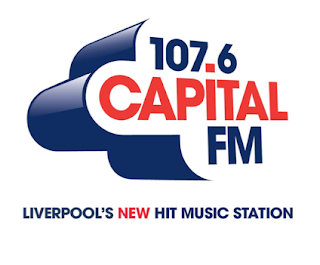 Capital Liverpool will offer Merseyside listeners seven hours of local output on weekdays, and four hours a day at the weekend, in variation to the existing Capital service widely received across Merseyside from the Wirral and North Wales, on-air since 2014 on the frequencies of the former Marcher stations. In a move approved by Ofcom last week, the version of Capital being broadcast on the Liverpool DAB multiplex (VHF Block 11B) is being switched from the existing Wirral version of Capital to the new Capital Liverpool feed. On the NE Wales and Cheshire multiplex (also known as the Wrexham, Chester & Liverpool multiplex - VHF Block 10D), the feed carrying Juice FM has been now been re-labelled Capital, currently also carrying the same feed as on VHF Block 11B, but due to switch to Capital Wrexham in the next few weeks. For analogue listeners, the Juice FM RDS name on 107.6 MHz has now been changed to Capital. From 18th January 2016, Adam Weighell, Gemma Cutting and Imogen Townley will present the Capital Liverpool Breakfast Show Monday to Friday from 6-10am and Graeme Smith and Sarah Story will join the station to host Capital Liverpool Drivetime from 4pm every week day. Every Thursday and Friday at 6pm, Graeme and Sarah will hand over to Anton Powers who will get the Liverpool weekend started early with the hottest tracks and some exclusive remixes while Baz Todd will bring the biggest tunes to Liverpool every weekend.